I know why many are going to read this post. Because everyone wants traffic and 20K isn’t a mean figure at all. You may think you’ve been following just what the doctor ordered and yet you can’t get even a few hundred clicks. And here I am touting 20K? But have you tried not doing a few things to increase your website traffic? 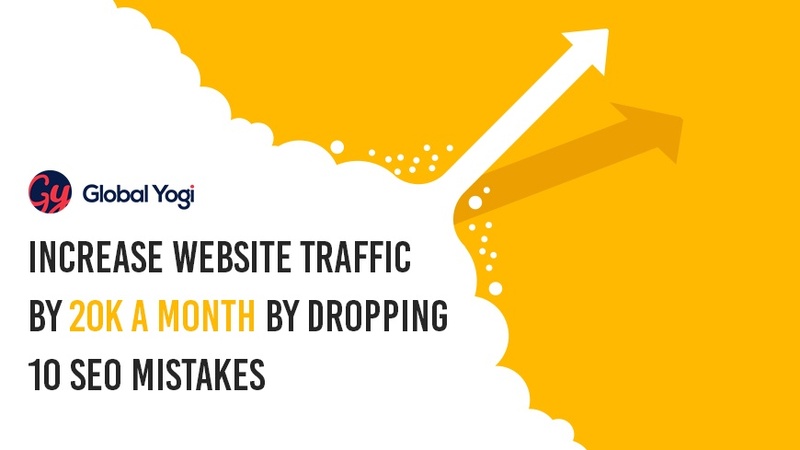 You'll be surprised how by simply avoiding 10 SEO mistakes you can achieve magical figures every month. Let me then show you in the next couple of minutes which practices should be dropped right away. The key to a good article is starting with the keyword but if you’ve taken this too literally, Google will not show your article in search results. And you may be wondering why despite liberally using the primary keyword you haven’t been getting traffic to your website! The search engine has undergone many changes over the past few years and one of them is rejecting content that appears forced. Use LSI Graph, a free keyword generator, to draw up a list of relevant keywords and keyword phrases that netizens are likely to use and throw them across your content as naturally as possible. Bank on Moz or SEO Book to tell you if your keyword density is less than 3% and, if not, then replace a few keywords with synonyms. PRO TIP: Include long-tail keywords with low competition and high search volume. In one of my earlier posts on boosting conversions, I mentioned how you can increase your chances of being read by 94% if you use images. Having said that I’d like to add that if images don’t load, it can reverse your chances with people abandoning your website midway. That’s why you have to pay attention to ALT tag or alternative text. It is that tiny description that appears even when your image does not get displayed for some reason. It helps search engine recognise your page as relevant for a specific query. Let me ask you a fundamental question: Why are you creating content? If you are a blogger, you’ll say to get a million readers and more; if you run an ecommerce business, you’ll say to get more traffic on the website, hence more sales. However, you maybe missing your target audience if you aren’t focussing on meta descriptions. These are your sales pitches in 160 characters. Such text does not help in ranking but encourages your target audience to click, thus increasing your chances of engaging them. PRO TIP: The more persuasive your meta descriptions are the better you chances of drawing in readers and customers. 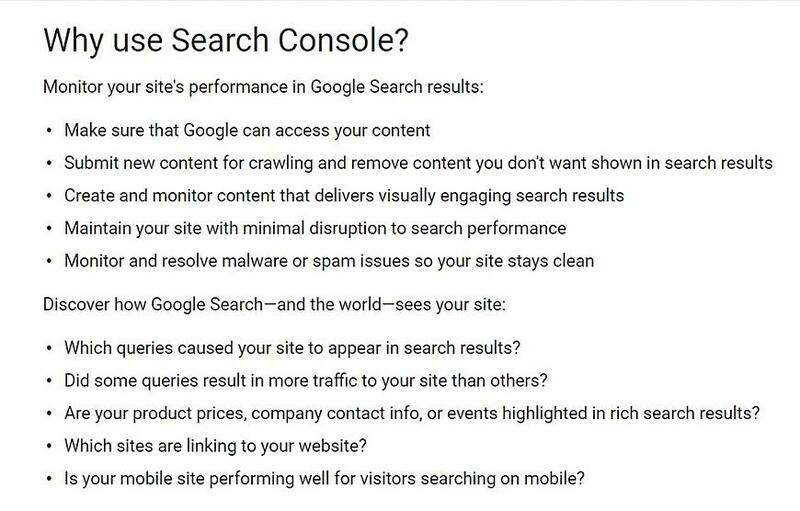 You’ve been making a grave mistake if you aren’t using Google Search Console. It’s a free service from the search engine giant to help you monitor and maintain your site's presence in search results. What you see here is a screenshot of one my old pages. You must avoid a 404 error to retain incoming traffic. In my case, as a saving grace, I have added a back to home link and also provided a field for Google search. So if you plan to upgrade your website, make sure you map the new URL to the old which has been used across all your content. You need to also take into account relevant links that point to your old URL. Take care of on-site search optimization and URL structure so there is seamless transition and users land at the new site each time even if they type in the old URL. You could follow some of hacks provided by Nate Shivar (Twitter: @nshivar) on redirecting old URLs to reclaim your broken links. Backlinks or inbound links links are votes that search engines use to decide if your page is good or not. 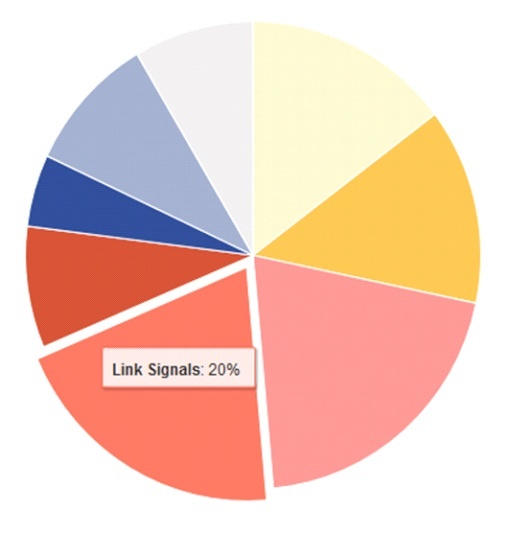 So more links mean more votes, hence higher ranking for your website. The number of backlinks your website has will indicate its popularity on search engines. Thus these are called building blocks to good SEO. 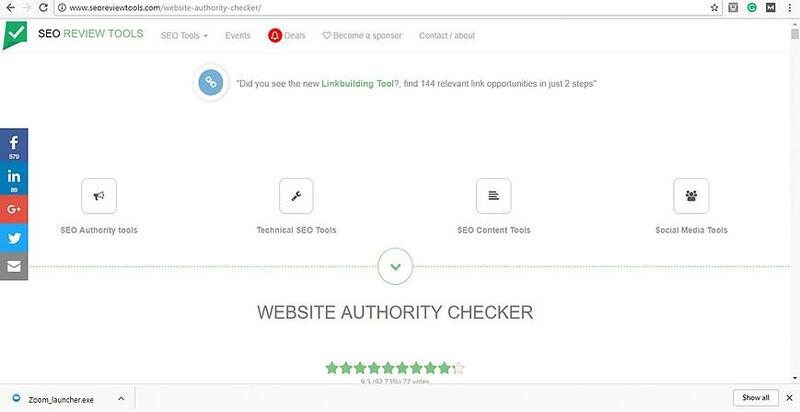 Your website stands the risk of being penalized for poor-quality links. Neil Patel (Twitter: @neilpatel) lists 10 tools that you could use in your link building strategy to dramatically improve your website’s rankings. Your face is the index of your health and an attractive title is the indicator of a worthy post. It is one of the most important ways to increase website traffic. You don’t need to go too far to understand this. Take your own example. If you are looking for SEO tips to boost traffic, which title are you likely to click on: SEO Tips To Boost Traffic or 10 Sure-Shot Ways To Get 20K Visitors A Month? I feel Brian Clark (Twitter: @brianclark) has just nailed it in this blog post on 10 Sure-Fire Headline Formulas That Work. How often have you landed on the homepage of a website instead of getting redirected to actual content? I find that very frustrating because I click on a link, I want to read more not waste time searching for content. Companies more often than not focus on building domain authority rather than individual pages. That is a big mistake if you too follow the same practice. I would rather focus on individual pages with unique content that attract my target audience and bank on the trickle-down effect to boost domain authority or increase website traffic. Are you getting traffic that isn’t converting? If yes, then you need to check for local search optimization to increase website traffic. Let me explain: suppose you cater to businesses only in Australia, but your page titles and meta descriptions don’t have Australia or its cities mentioned in them, you are likely to get traffic from other countries which you can’t service. This brings your SEO efforts to almost a nought. Sherry Bonelli (Twitter: @sherrybonelli) offers five ways to dominate local search in 2017. There’s a lot of competition out there and you maybe making it harder for yourself if you are focussing too much on short tail keywords. 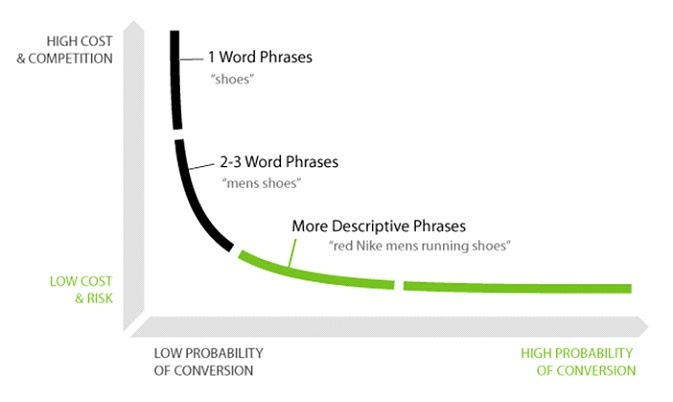 Short-tail keywords are broad terms with high search volumes but your chances of ranking up and getting traffic to your website are less. For instance, you sell gifts and thus you add the keyword ‘gift’ in all your content, page titles, and meta descriptions. It will be very difficult for your website to appear on top of organic searches, let alone garner sales. But if you sell ‘unique birthday gifts under Rs 500’ and also put this out as a long-tail keyword, you are likely to attract only serious customers. 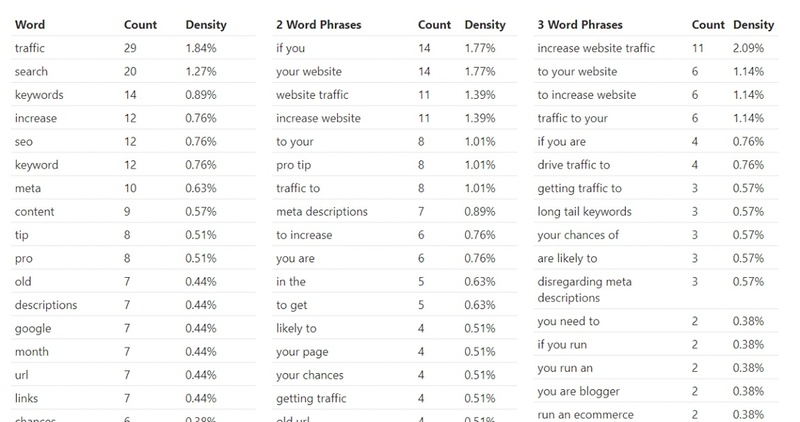 Besides Google Keyword Planner, you could also employ some lesser-known strategies to arrive at untapped long tail keywords. The good news is that SEO has picked up pace across the digital world. The bad news is that many companies are barking up the wrong trees. You can increase website traffic to 20K a month if you avoid common SEO mistakes such as overusing keywords, avoiding long tail keywords, disregarding meta descriptions, ignoring old URL redirects, devoting less time to backlinks, or not writing compelling headlines. Once you set SEO correction in motion, you should have no problems in reaching the magical figure. After all, Google AdSense pays close to $50 for 20K unique visitors. And if you are a blogger, you could make some $100 a month with this traffic. You need more reasons? Alright. If you run an ecommerce site, 20K traffic means 20K leads. Of course, after that it depends on how your sales and marketing team takes all that inbound marketing forward. They can get tips from one of my earlier posts. How effective is your SEO? Have you changed some strategies lately to increase website traffic? Do share your experiences in the comment section below. Yogi draws on 15+ years of experience across industries to chart a course for the future and guide the company towards its strategic goals. 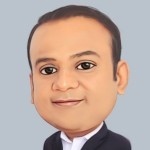 He leads a team of senior digital marketing pros. Is the Digital Marketing Relying on SEO? Which Should Be The Best Choice: SEO or PPC?